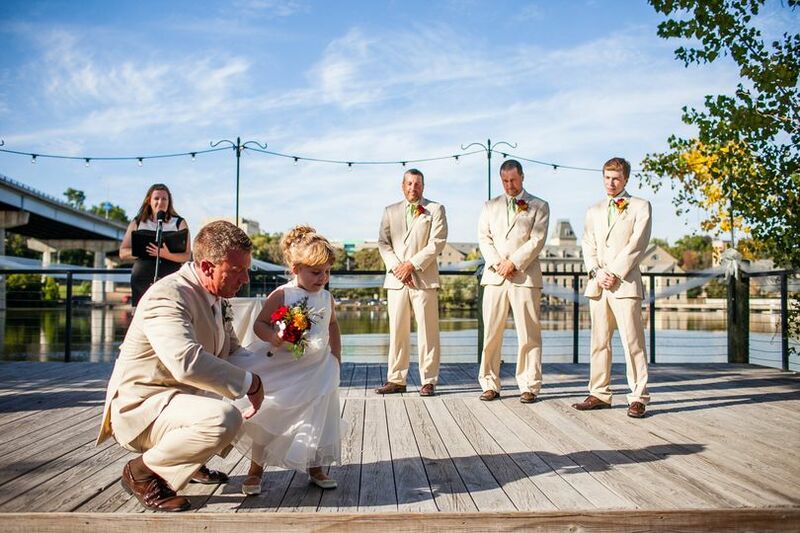 Pullmans Waterfront Banquets is an elegant wedding venue located in Appleton, Wisconsin. 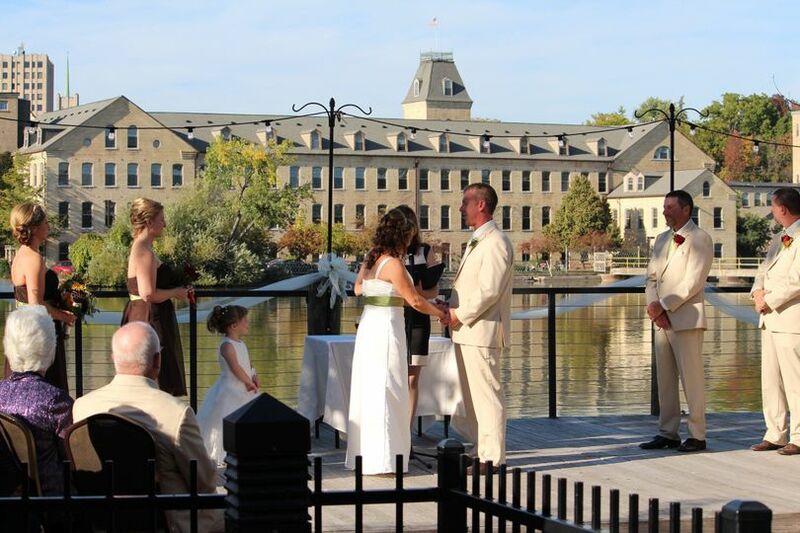 Situated on a bend of the scenic Fox River, Pullmans Waterfront Banquets is the Fox Valley’s premier location for hosting the wedding day of your dreams. The dedicated staff at Pullmans Waterfront Banquets will go above and beyond to turn all of your dreams into a reality as you plan one of the most unforgettable days of your lives. Pullmans Waterfront Banquets can accommodate up to 220 seated guests in its indoor and outdoor event spaces. 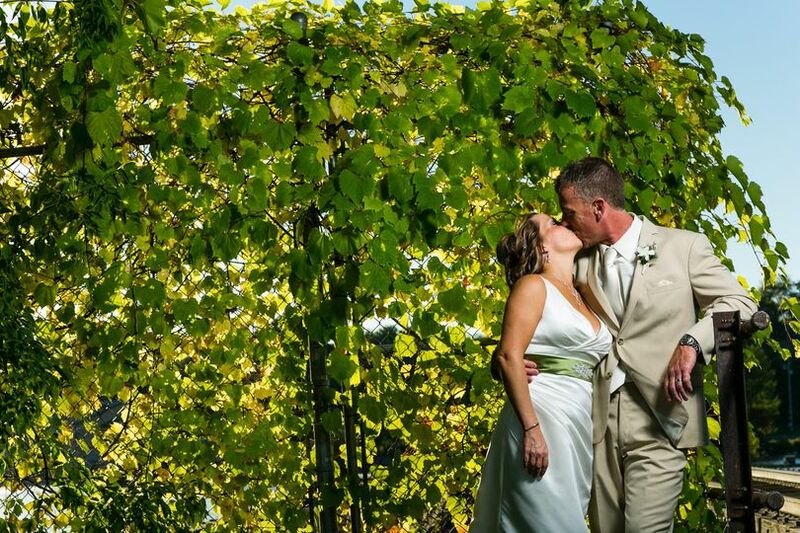 There are two unique locations on the property where elegant wedding ceremonies may be hosted. 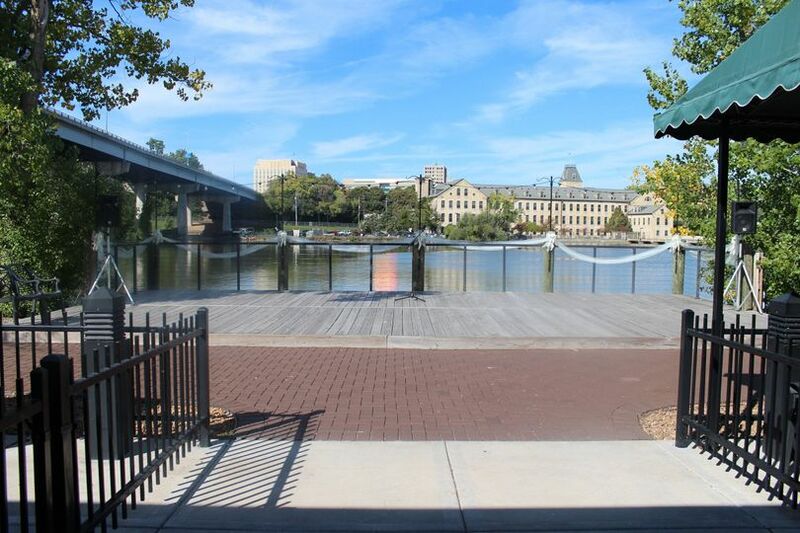 Pullmans’ dock overlooks the beautiful Fox River and Appleton’s downtown skyline. Its covered patio can seat up to 90 wedding guests. Meanwhile, on Pullmans’ garden patio, couples and their guests will be nestled under a bridge during the ceremony. Pullmans’ reception facility is ideal for hosting a grand affair, featuring three large windows that overlook the scenic river. The venue will provide barware, flatware, linens, china and glassware for your wedding reception. 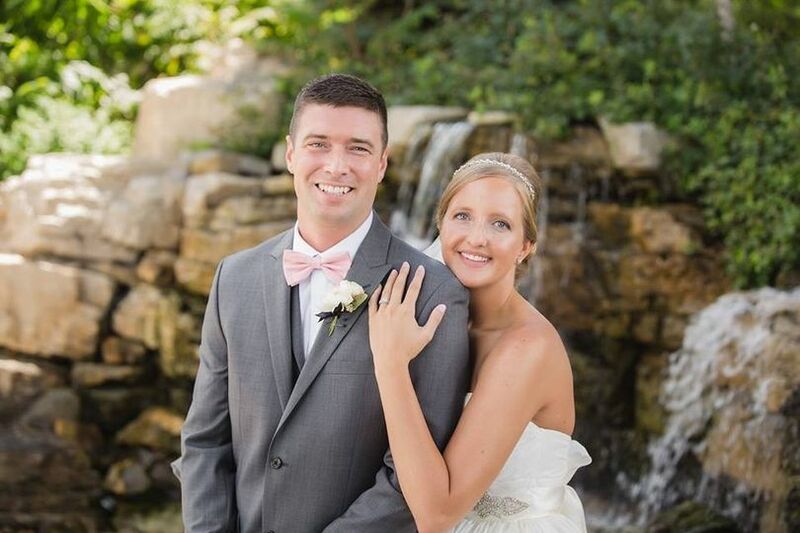 At Pullmans Waterfront Banquets, couples may host several types of wedding celebrations, such as their engagement party, bridal shower, ceremony and reception. 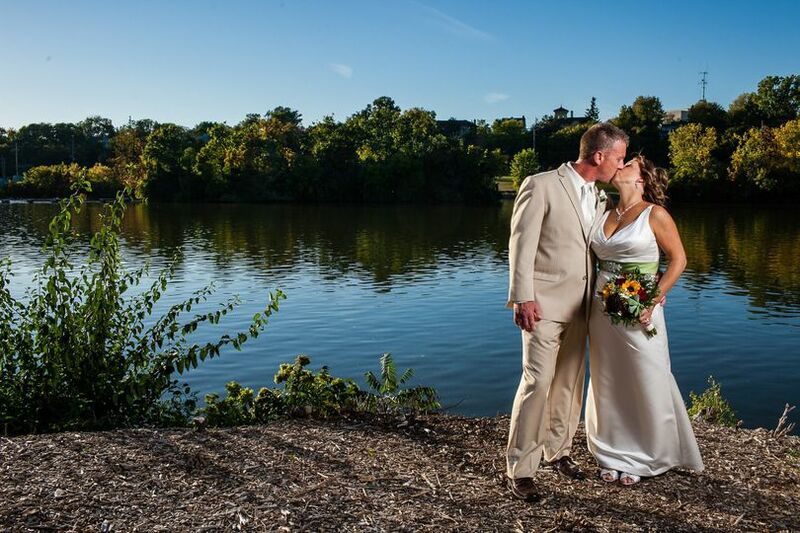 The venue offers a number of event services to couples planning their nuptials in the Appleton area and beyond. Those services include event planning, in-house catering and bartending, and accommodations. Couples may bring in outside vendors to assist them on their wedding day. Pullmans’ event staff will be on hand on the day of your celebration to help you set everything up before your event begins. 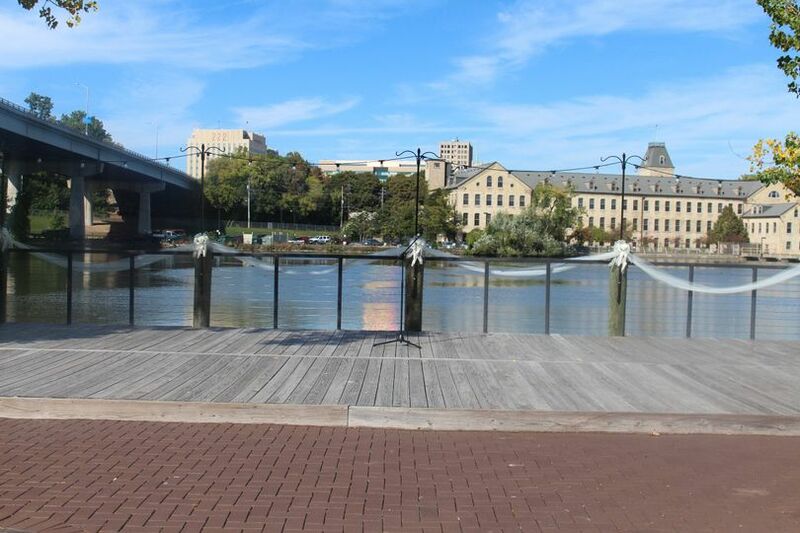 Pullmans Waterfront Banquets is a wheelchair-accessible wedding venue that offers ample parking to couples and their guests on their wedding day. At Pullmans Waterfront Banquets, couples have the option to choose from a variety of delicious catering options for their cocktail hour and wedding reception. Those options include hot and cold hors d'oeuvres, plated meals, buffet dinners, breakfast, lunch and snacks, as well as desserts. We had our wedding reception here. First and foremost, let me say that Alanna was GREAT to work with. Super accommodating and thoughtful and VERY responsive. The food was great, and the venue was decorated beautifully. Wouldn't hesitate for a second to recommend it to a friend. Two thumbs up. We had a great experience with the event staff at Pullmans. We held both our ceremony and reception there and they did a wonderful job of anticipating our needs and making a smooth and stress free transition. The food was delicious, staff was accomidating, and we've heard from several people they loved the bartender. It was a great feeling to know I did not have to worry about any details day of, I was able to leave things in the very capable hands of the event manager and enjoy the day. The location also made for beautiful photos without having to drive anywhere else. Our day was perfect! 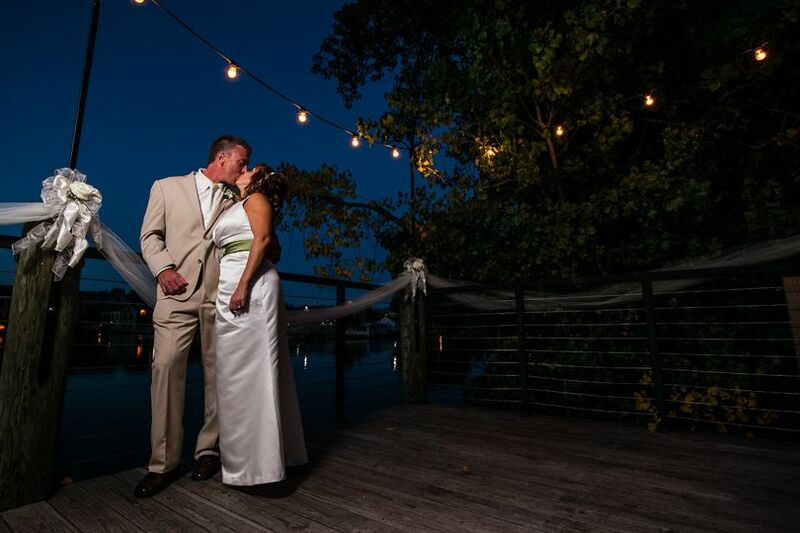 We loved the location and got married outside on the deck. We had a room to get ready in and everyone said how AMAZING the food was! The room was the perfect size. Alanna was great. She was supportive and was easy to talk to. She responded quickly to everything and gave a professional opinion when we had question!